Anyone for a chorizo cocktail? Here at Woman’s Own we love to experiment with different flavours which is why the new Cavaizo Cocktail caught our eye. The special drink combines two of our favourite Spanish exports, cava and chorizo, and blends them together to create a cocktail which we’ve heard is surprisingly delicious. 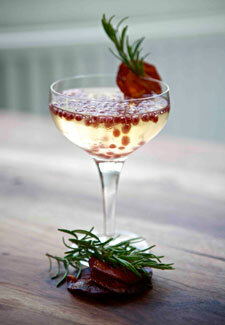 The cocktail was the brain child of leading London cava bar, Copa de Cava, who decided to mix Anna de Codorníu Brut Cava, chorizo al vino caviar, chorizo-infused Gin, a chorizo crisp and rosemary garnish to create the unusual tipple. The drink is available from 23rd September to try however if you don’t live near by why not nip down your local supermarket and have a go at making your own?